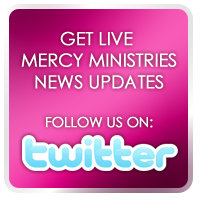 Mercy Ministries News: Private Concert with Natalie Grant!! Nashville residents, staff, and guests were so excited to get to enjoy a special concert with Natalie Grant yesterday morning. Natalie encouraged the girls and staff through several songs and also shared her heart for Mercy Ministries because of her own testimony of overcoming bulimia and finding her true identity in Christ. She spoke with a sincere heart about the reality of the struggles and insecurities that brought her to where she is today. Natalie’s honesty about her imperfections, even in the height of an incredibly successful career, brought encouragement to everyone searching for significance despite their past. Natalie also celebrated and honored the five girls who were going to be graduating from the program later that afternoon. See Natalie pictured right with our graduates. Click here to check out a video clip of Natalie’s visit to Mercy. To learn more about Natalie Grant, visit her website at www.nataliegrant.com. Natalie’s visit was such a lift, and we are all looking forward to our next time together! !